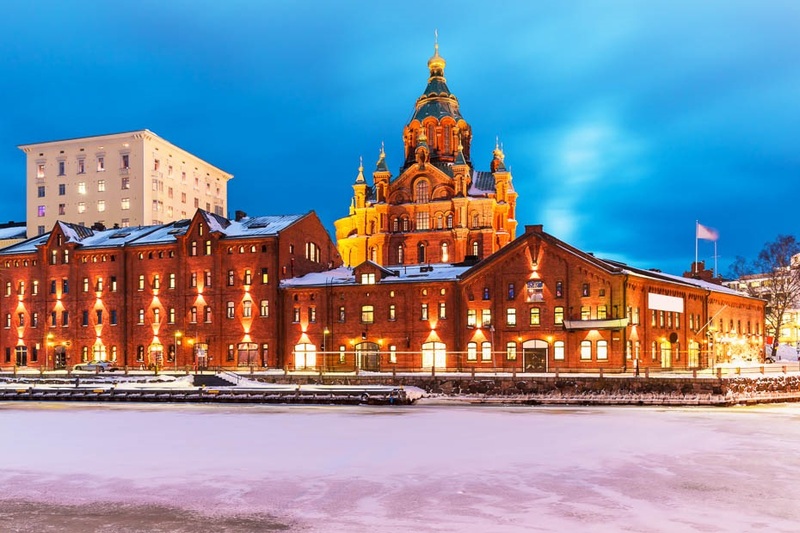 Finland boasts a green and pleasant capital ideal for a city break or as a starting point for exploring the country’s beautiful natural scenery. 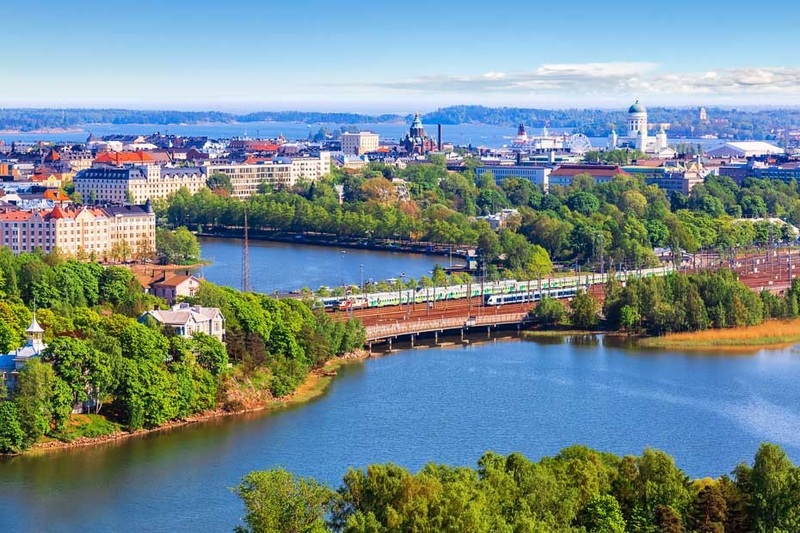 Helsinki’s location on the peninsula means wherever you go you won’t be far from the sea while its southern position assures that it enjoys a milder climate compared to the rest of the country. In fact you will need to cross the sea to visit one of Helsinki’s most interesting attractions, the impressive fortress of Suomenlinna, perched on an island just off the coast. The fortress dates back to Finland’s period under Swedish rule and was built in the 18th century to guard against Russian invasion. On the mainland, the old fish market by the harbour is full of character and still serves as a central meeting place for locals, now selling not just fish but all manner of produce and crafts, ideal for a morning’s ramble. Luckily, Suomenlinna didn’t guard against all Russian influence infiltrating Helsinki and there are various reminders of the close links between the two countries dotted around the city as well as in the cuisine and culture. One of the most stunning such reminders is the Russian Orthodox Uspenski Cathedral, a golden cupola-topped edifice standing resplendent (and somehow out of place) amongst its comparatively dowdy architectural neighbours. 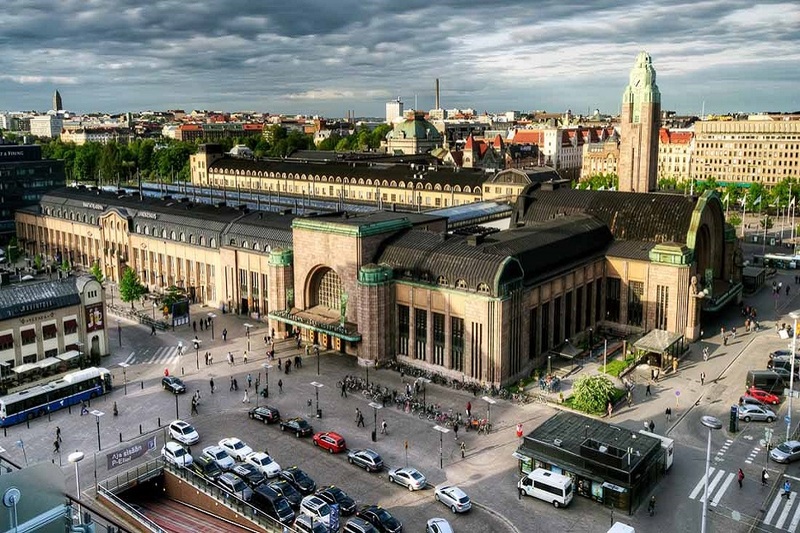 Helsinki has its own home-grown architectural flair, though, evident in the many stylish, state-of-the-art modern buildings that have sprung up over the past 50 years. Most notable among these are the Finlandia Concert Hall designed by the world-renowned Finnish architect Alvar Aalto and the Kiasma Modern Art Museum. It’s easy to get away from it all without having to travel far from the city centre, too. Helsinki’s periphery boasts some lovely parks and only a short distance away are the lakes and wide open spaces of Nuuksio National Park. And for beach lovers, the island of Seurasaari offers unspoilt swathes of sand, ideal for a rest from all your sightseeing. All passengers must travel with their passports and not with their European identities.